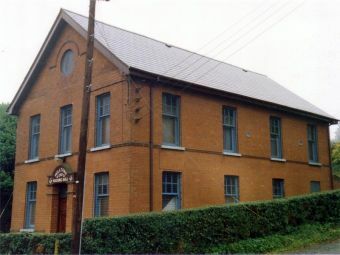 An Occasional Meeting of The Provincial Grand Lodge of Down was held at Ballylesson on 20th July, 1910 for the purpose of Dedicating their new Hall, at 4 o’clock p.m. 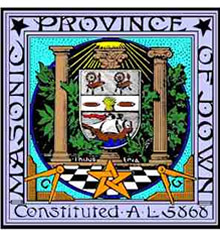 The Lodge was opened in due form on the First Degree. The Officers of the Provincial Grand Lodge of Down had been specially summoned to Dedicate the new Hall erected by the brethren of Lodge No. 978. 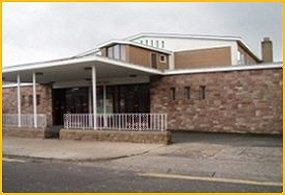 The Ceremony of Dedication of the new Hall was performed by the Provincial Grand Master (R.W. Bro. Col. R.G. Sharman Crawford) assisted by his Officers according to ancient Masonic custom and Ritual. The Grand Master after the ceremony stated that it afforded him great pleasure to be present on the occasion, the Warrant of the Lodge had been continuously in the same district since the year 1816 and during part of that time the Lodge meetings had been held in the now historic site known throughout the North of Ireland as “The Goat.” He congratulated the brethren on the splendid success of their efforts in erecting a hall for their own use and he wished them every prosperity and hoped that Masonry in the district would long flourish and that Peace, Love and Harmony be continually found amongst them. A hearty vote of thanks was then moved to the Provincial Grand Master and Officers of the Provincial Grand Lodge by W. Bro. Andrews, Secretary of Lodge 978 and seconded by Bro. J. McL Rea which was passed by acclamation. A collection on behalf o the Charities amounted to £6.13s.6d. The Lodge was then closed in Peace, Love and Harmony. The Provincial Grand Master and Officers of Provincial Grand Lodge with the visiting brethren were afterwards most hospitably entertained by Lodge 978. GPS: N54 32'47" W5 36'39"